While a firm believer in the power of consistent top-of-mind marketing using series such as our neighborhood update postcards or content postcards, I always like to remind agents to also include an element of surprise in their marketing efforts as well. It’s terrific to keep people informed — that brands you as an expert and resource people can trust and call on for their real estate questions or needs. 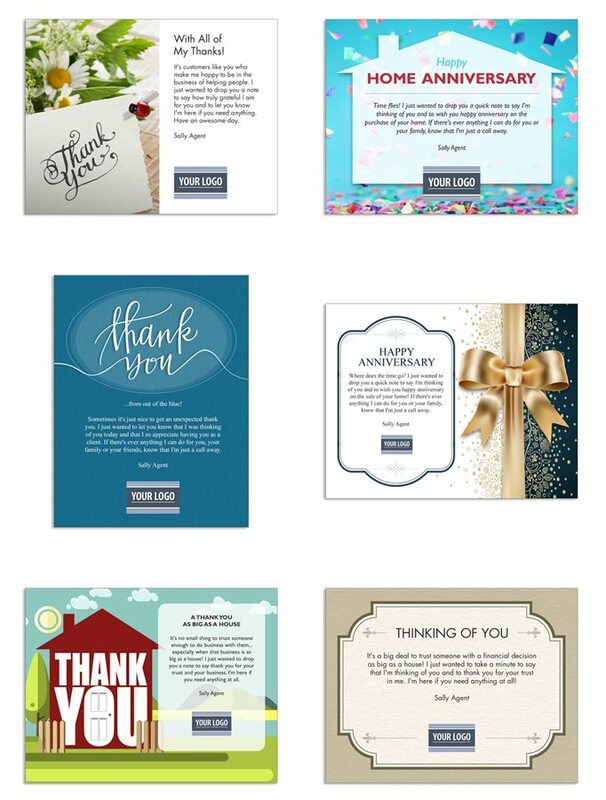 When combined, however, with a genuine thank you and note of appreciation, you now also brand yourself as someone who cares about your customers — and about details! 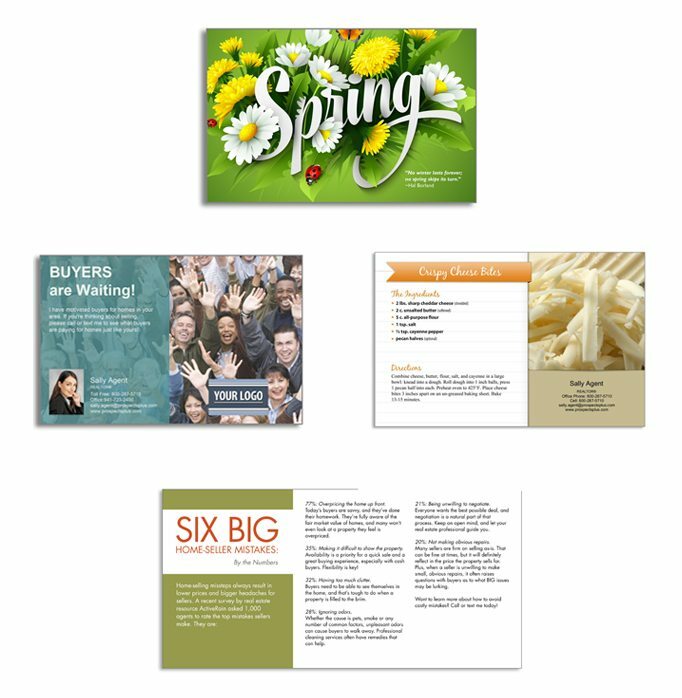 This week’s Master Marketing Schedule tip is to send the Out of the Blue postcard from Customer Appreciation Series to 200 of your past clients. What if you did that at least four times per year? Or took a few moments to send these kind messages to a block of your sphere of influence VIPs per month? Do you think it might be worth a few transactions or referrals? You bet it would! Invite to a customer appreciation event. Spring is a great time to host a party! Offer something of value. We have some terrific Free Reports that are easily customized and downloadable that you can offer. Nine Strategies to Get 17% More For Your Home or 10 Renovations That Reap Return on Investments are two great ones you can offer. Offer a service. Let them know that the market, and mortgage rates are changing — and that has a lot of people asking questions about what that potential means for their home value. Offer to meet with them to share a home price evaluation and answer any questions they might have. Let them know when you’ll be in the area! Schedule a time for you and your team, if you have one, to walk your geographic farm or be available for a meet and greet at a local coffee shop or community center. Then share that information with your fans and offer to answer any questions they might have and even tell them to invite a friend! Then follow up. Block time to connect with at least 25 past clients per week with a kind word, a thank you and an offer to assist. We’re in the business of people, and when you reach out on a regular basis and let people know you genuinely care — you’ll be rewarded with new business and customers for life! Need help with your marketing? Contact our team today at 866.405.3638.